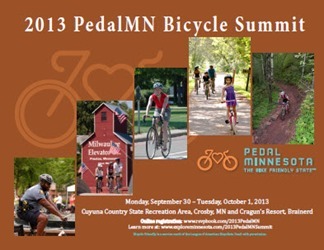 But I thought of that cover story after attending the 2013 PedalMN Bike Summit this week, a two-day Minnesota state government-hosted conference involving four state agencies, several non-profits, and representatives from more than a few bicycle-related businesses. 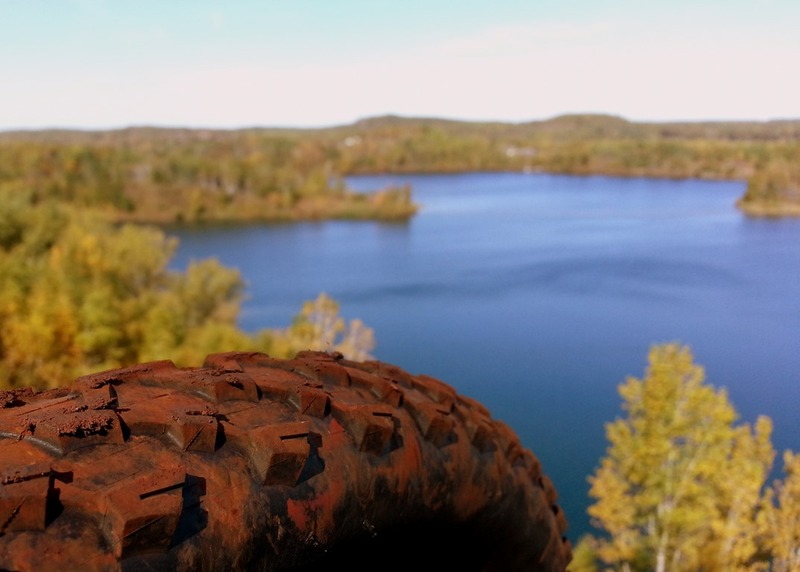 Read the timeline of the creation of Cuyuna. 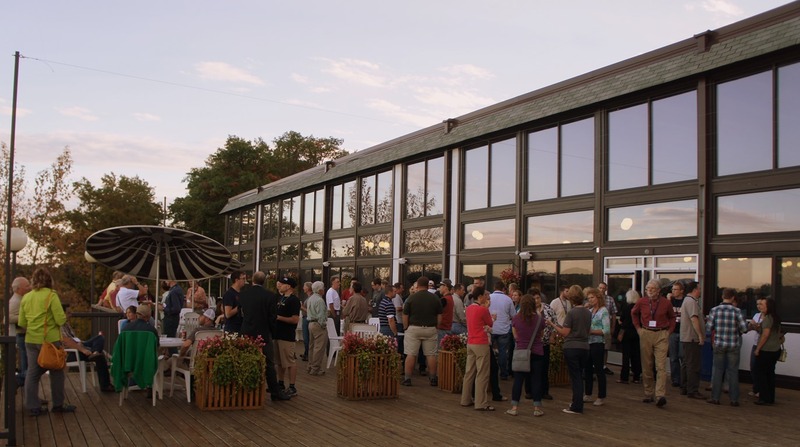 You’ll see the names of these people, most of them more than once: Gary Sjoquist, Dan Cruser, Courtland Nelson, Mike Van Abel, and Hansi Johnson. 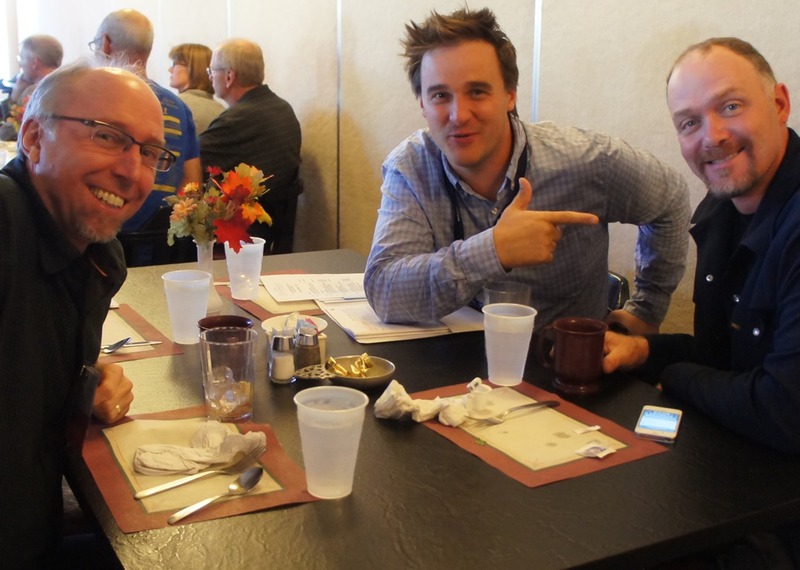 All of them were there this week, as were others from their organizations (MORC, IMBA, DNR, QBP). 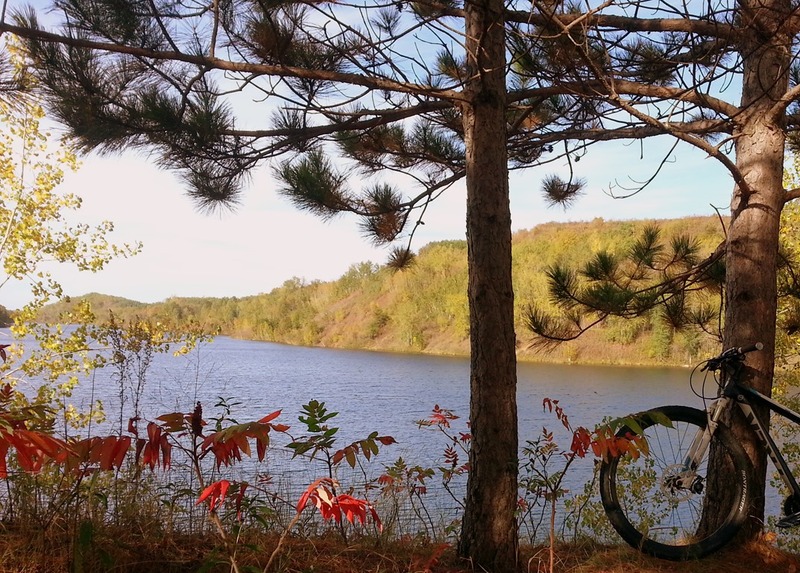 I got up to Cuyuna early on Monday morning, as it was a gorgeous autumn day and I wanted to ride every single trail in the Huntington east and west units (AKA as the Mahnomen Unit on the DNR’s map of Cuyuna). 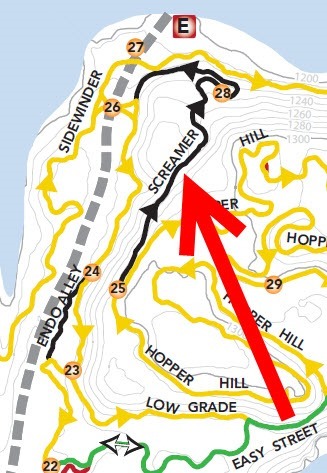 I rode some more than once, including the steep and short Screamer which I rode five times, trying to get better/faster at it with marginal success. 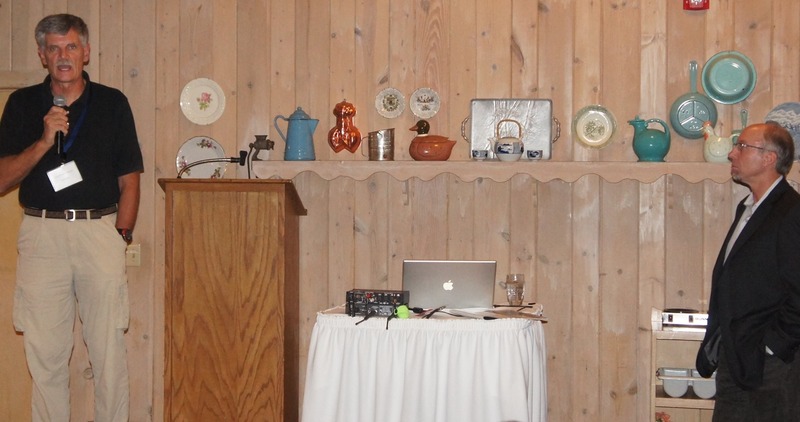 But what fun. 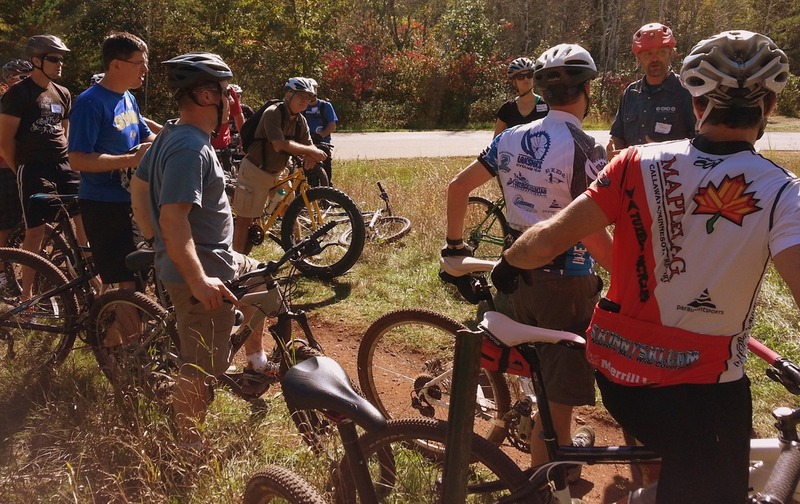 Experience firsthand what makes the Cuyuna Lakes Mountain Bike Trails an IMBA-certified Ride Center. 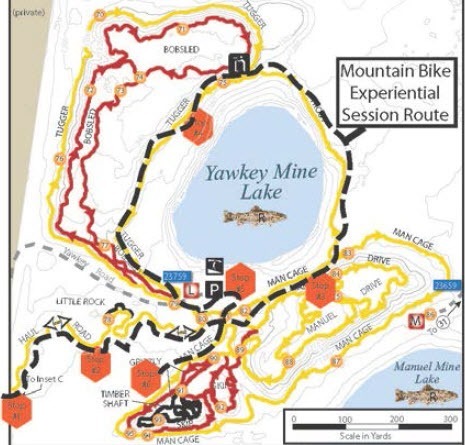 Learn about purpose-built trail design and weekly trail maintenance. 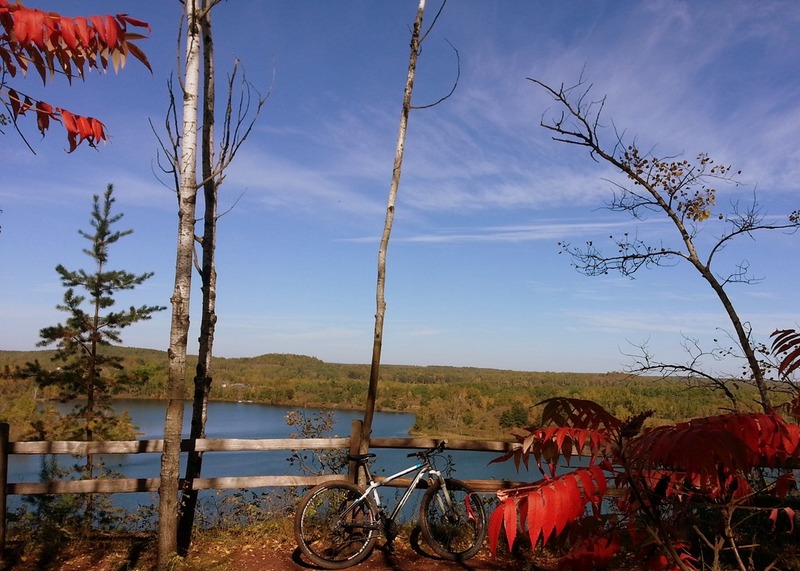 See why cycling is now-year round in the Cuyuna Lakes area. 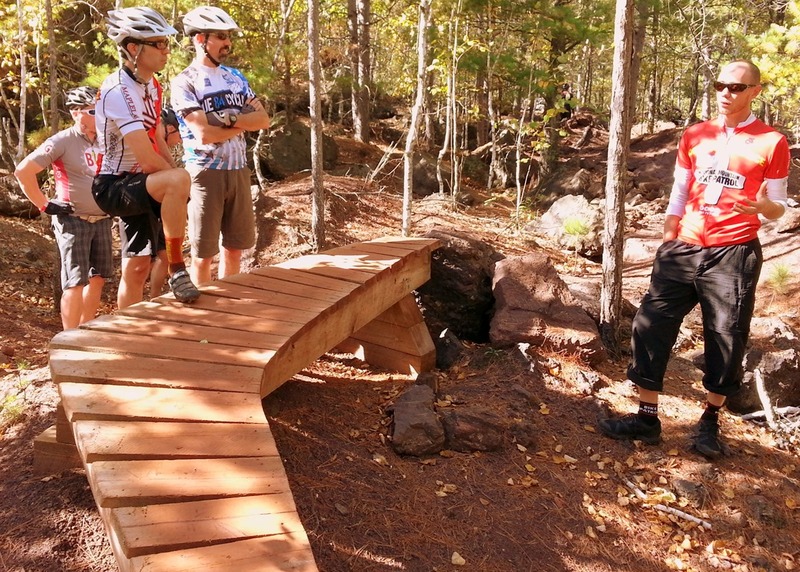 Find out how state, county and city governments have partnered with residents and the cycling industry to achieve the shared goal of becoming an international mountain biking destination. 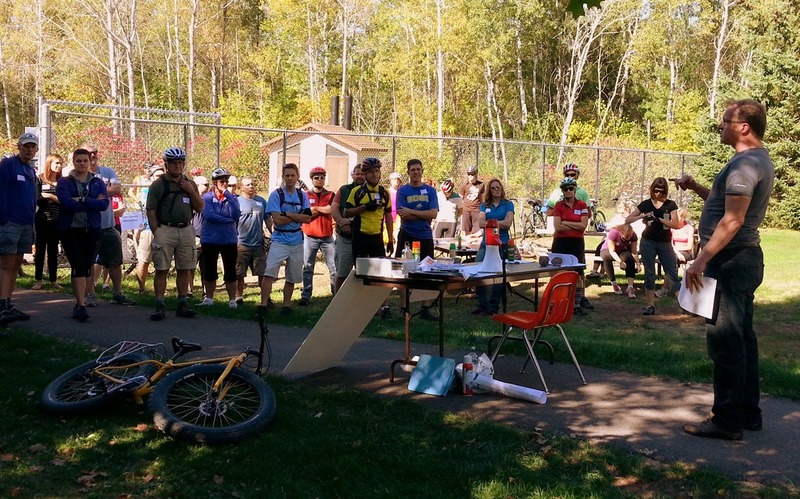 Members of the Cuyuna Lakes Mountain Bike Crew will lead ride participants through an interactive tour within the Yawkey Unit of the Cuyuna Country State Recreation Area. 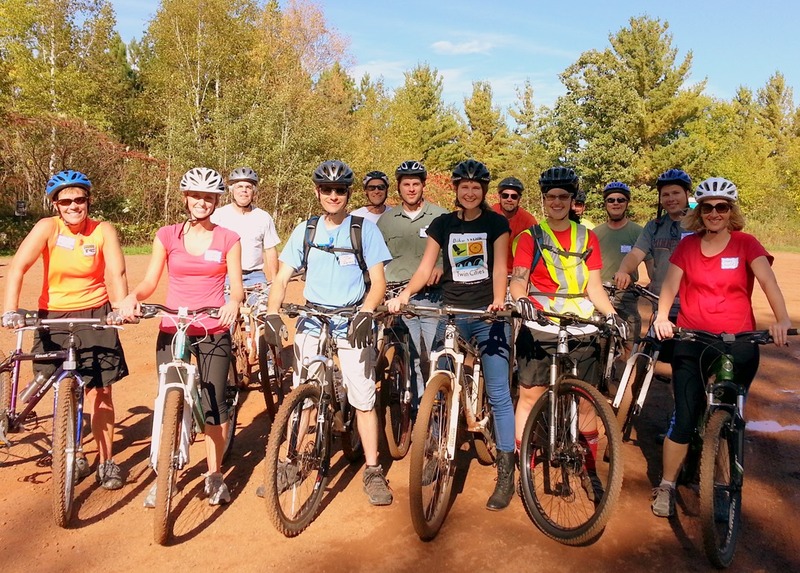 This bike tour is purposefully designed for cyclists of all skill levels to enjoy their time on the red dirt. 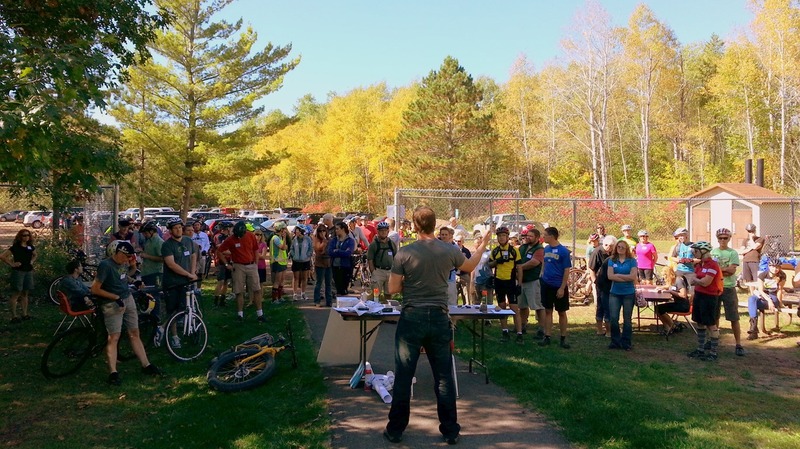 Riders will be separated into advanced, intermediate and beginner categories. 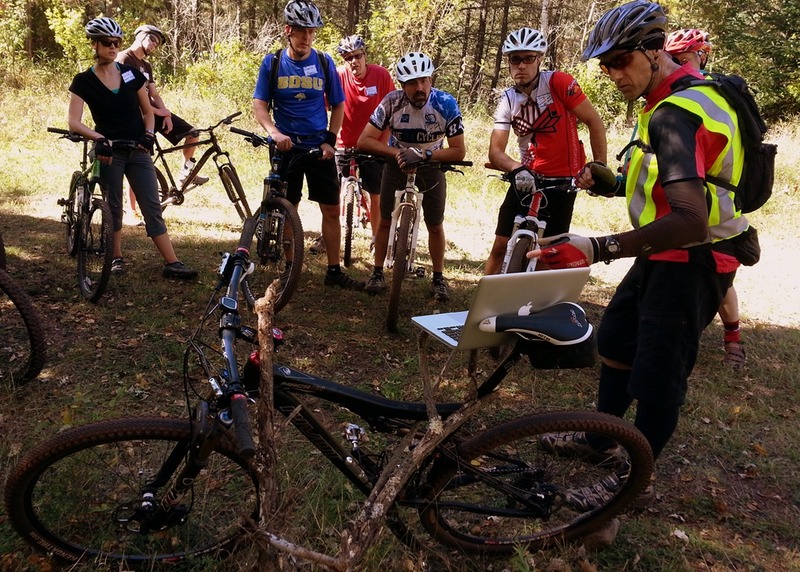 I followed the advanced group around and IMHO, it was a very cool way to show/teach a large number of people in a short period of time the important aspects of a modern mountain bike trail system and its wider impact. 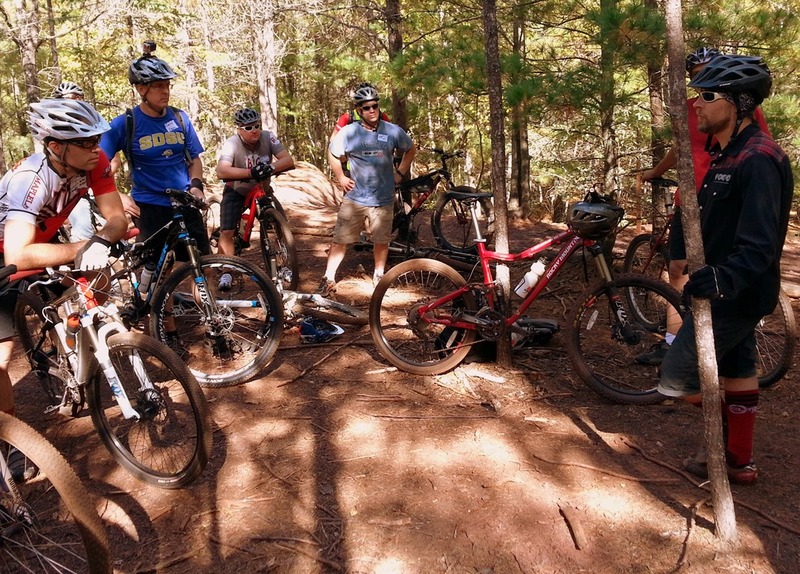 After the guided stops, ride leaders took their groups back out on the loop trails for more riding until everyone convened back at the parking lot for topical Q&A at various tables. 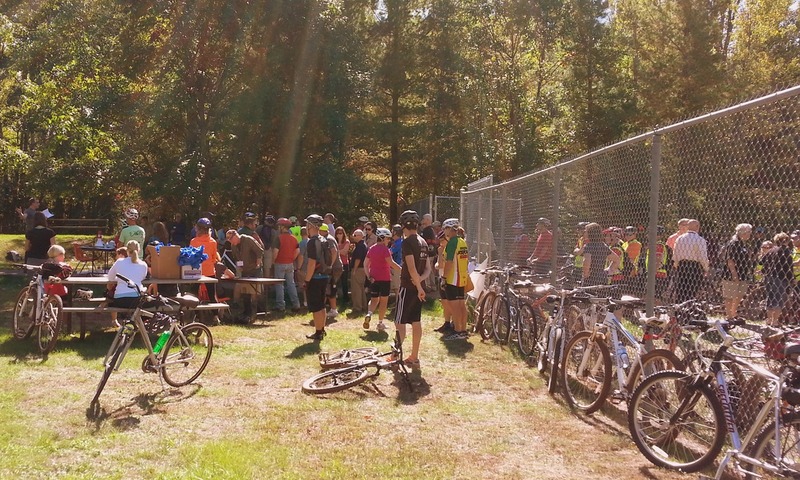 There were more than a few mtb muckety mucks on hand to help. 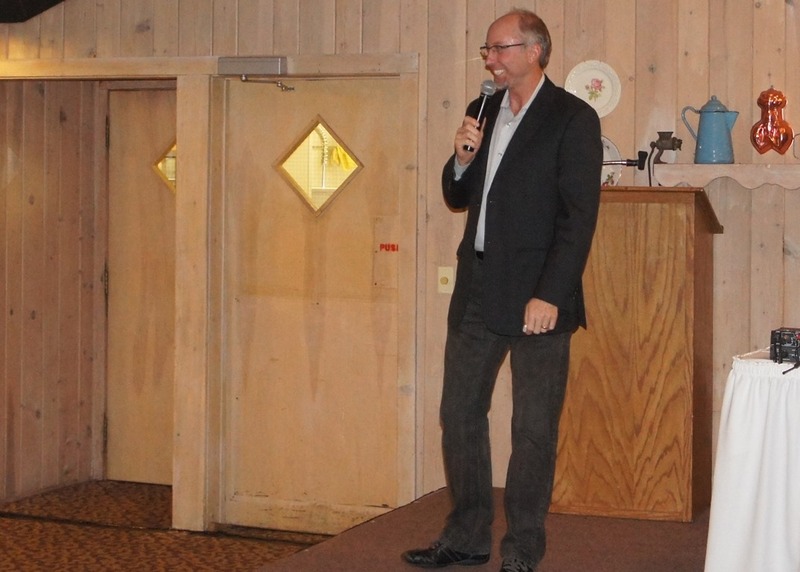 We then gathered for socializing and dinner at Cragun’s Resort in Brainerd, where DNR Parks and Trails Director Courtland Nelson introduced the evening speaker, IMBA Executive Director Mike Van Abel. 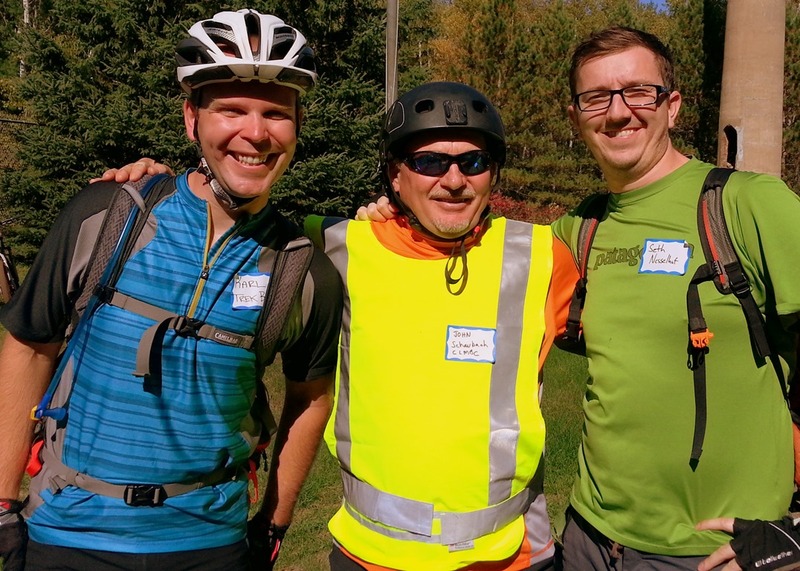 Mike and IMBA have a long history with Cuyuna (Hansi’s got a good summary in his June 2011 blog post, shortly after the park opened) so it was fun to hear some of Mike’s stories of that history. 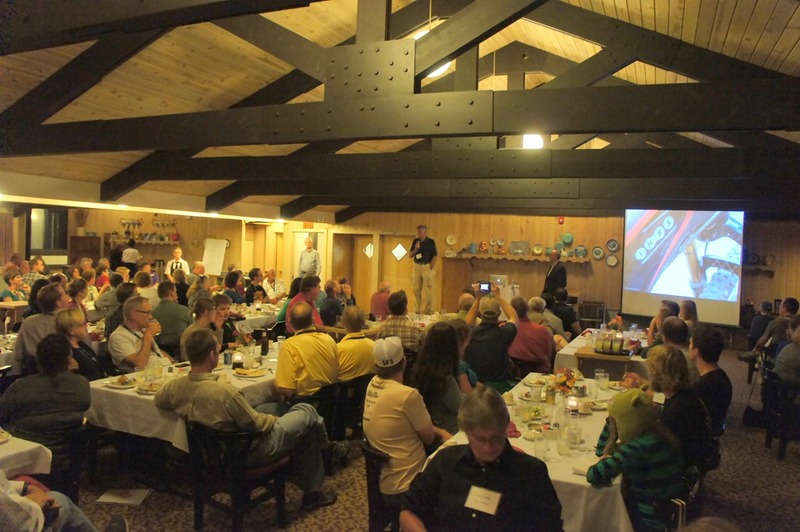 His message to the audience of 200+ participants was clear: the pursuit of IMBA’s mission (“to create, enhance and preserve great mountain biking experiences”) goes far beyond the sport and IMBA’s members. 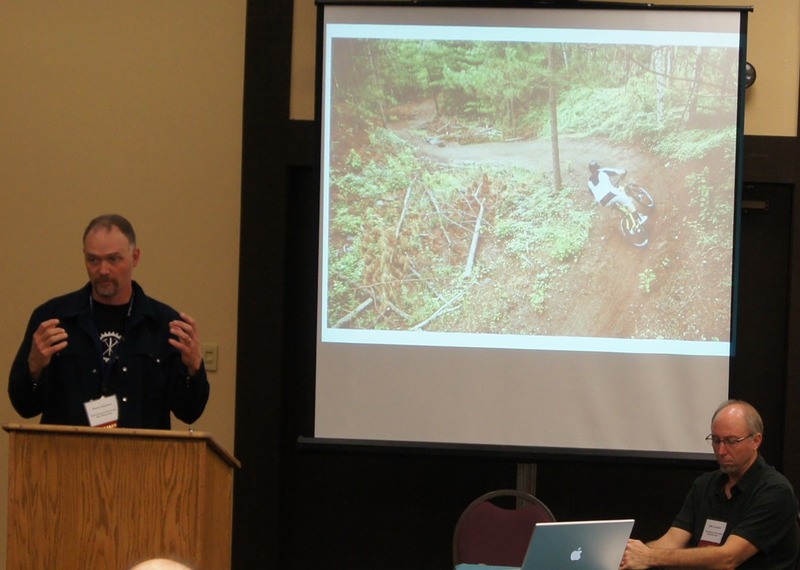 Communities and regions all over the continent are seeing that the environmental, economic, and public heath benefits of mountain biking are significant and growing. 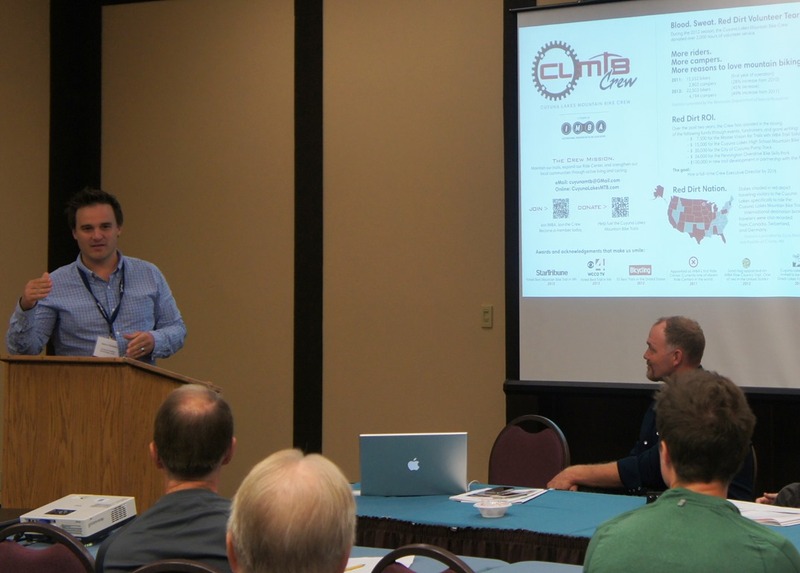 One of Tuesday morning’s breakout sessions was dedicated to mountain biking. 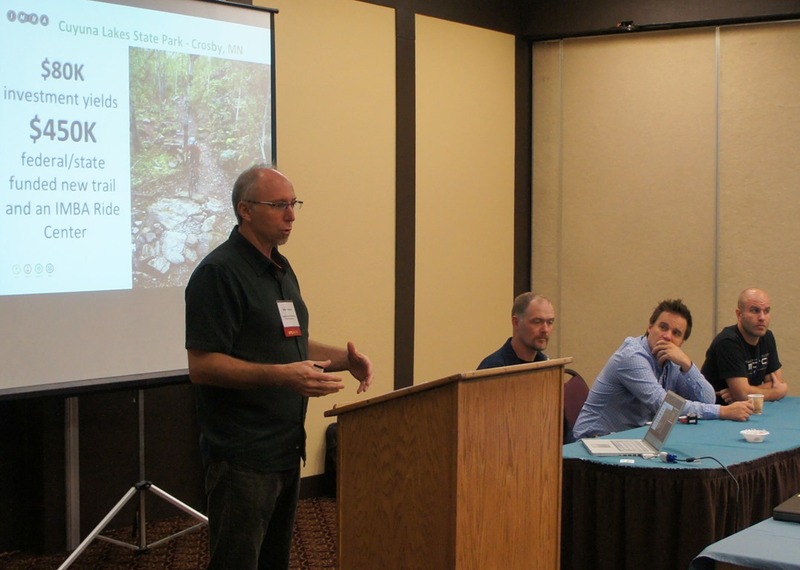 Mike moderated a panel consisting of IMBA’s Hansi Johnson, MORC’s Reed Smidt, and CLMBT’s Aaron Hautala. One thing that stood out for me was Reed’s comment about MORC’s role in the state. 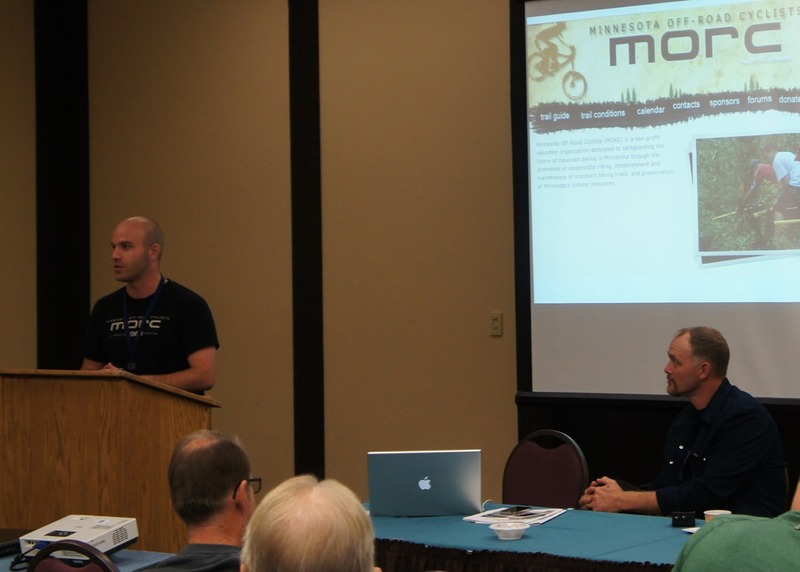 Despite the word ‘Minnesota’ in its name, MORC has recently become more focused on mountain biking in the Twin Cities metro area, as the IMBA Chapter Program has produced many chapters throughout the state. 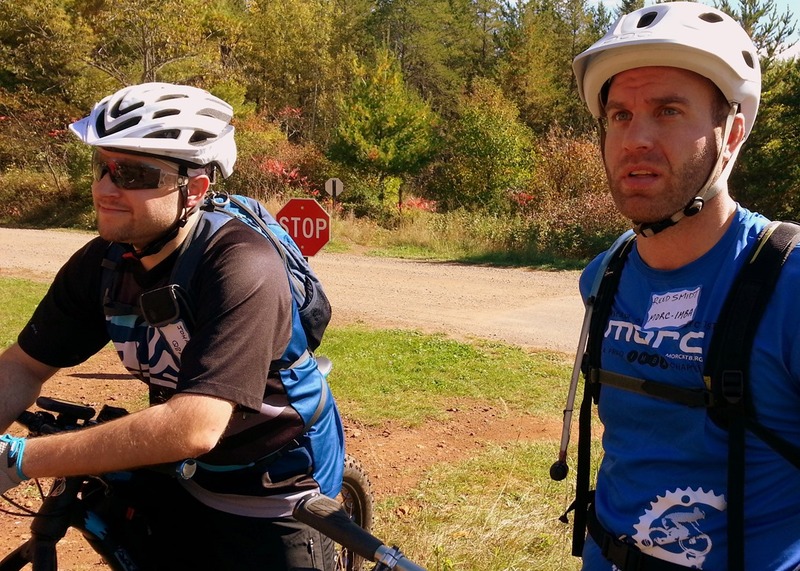 But with 3 million residents and thousands of mountain bikers in the metro area, MORC plays an important role in producing and supplying a significant number of mountain bikers who like to travel to the mtb trail systems throughout the state and midwest region. 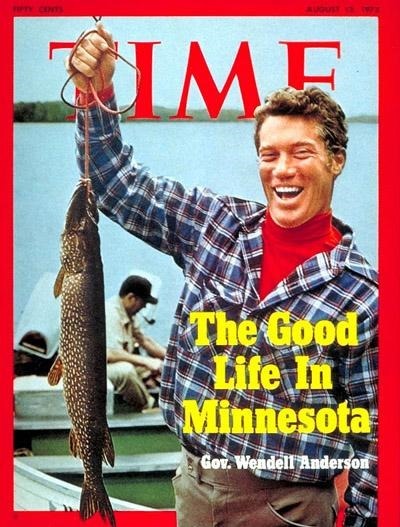 So my take-away from the Bike Summit: I’m damn lucky to be a resident of Minnesota, a state that works for mountain biking. 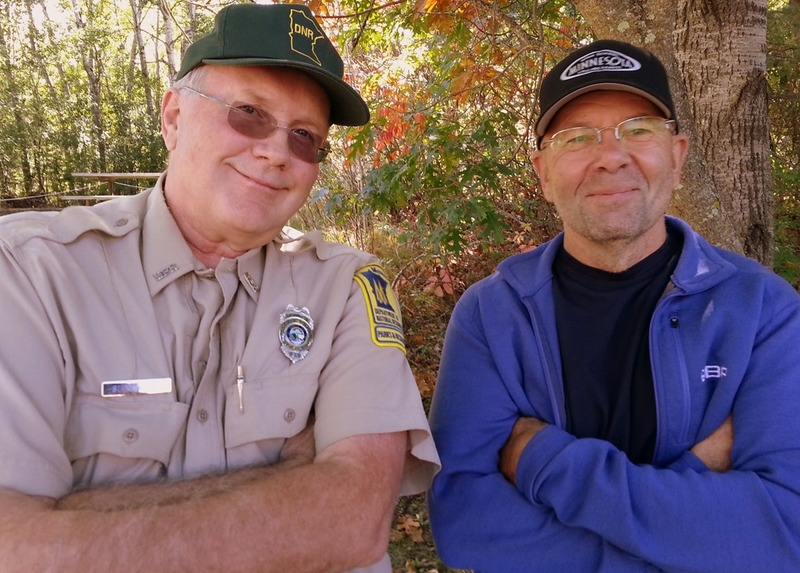 And the work that others have done to get us to this point inspires me to help keep it going and do what I can to get others to join the effort. 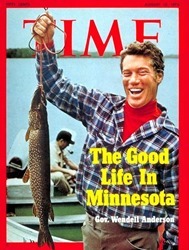 I’m in a Duluth coffee shop as I write this. I’m going riding.